The Mickey Leland Papers & Collection Addendum. 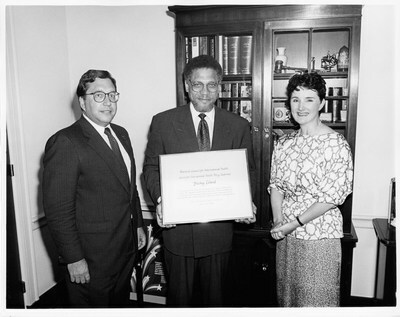 (Texas Southern University, 2018), "Mickey Leland , Russell Morgan ; National Council For International Health Award" (1988). Series 14 : The Mickey Leland Audio Video Collection – Box 20 Images. 71.